When you wake up with a runny nose and a scratchy throat, it can be difficult to determine the root cause of your discomfort. Before you know it, the tissues are piling up and you begin to wonder where you encountered the contagious germs that are surely to blame for your current condition. But before reaching for the cold medicine, take a moment to truly analyze your symptoms. It is possible that what you thought was a common cold is really allergies — or vice versa. 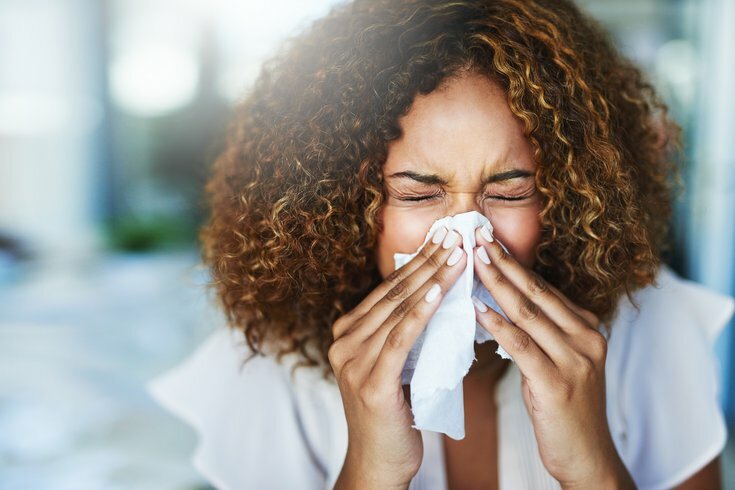 The nuances can be subtle, but there are a few key differences between contagious viruses and seasonal allergies, and understanding these differences will help you get the care you need. Itchy, watery eyes are the hallmark of seasonal allergies. Your eyes become agitated when an irritant, such as pollen or animal dander, is released into the air. This triggers the discharge of histamines, a compound found in the tissues surrounding the eye. When these histamines are introduced, your eyes become red, itchy, and swollen. Antihistamines are your best bet for battling irritated eyes — just be sure to opt for a non-drowsy formula or take the medicine at night. Sore throats are another common yet misleading symptom, as they can be attributed to a number of causes. More often than not, however, a sore, scratchy, or dry throat is the result of a viral cold. Pain killers like aspirin or ibuprofen work wonders for minor throat pain. If you prefer a more natural remedy, gargling with warm salt water will help speed up the healing process and temporarily relieve discomfort. Body aches are another tell-tale sign that you’re dealing with a cold rather than allergies. Dull aches and pains are also indicative of the flu, so be sure to monitor your condition and seek medical attention if flu-like symptoms seem to get worse rather than better with time. One of the easiest ways to tell if you have a cold or allergies is by judging the duration of your symptoms. Viruses like the common cold typically last for seven to ten days. Allergies, on the other hand, will not subside until you get treatment or until whatever triggered the allergic reaction is removed. In the case of seasonal allergies, symptoms tend to last for two to three weeks at a time. It has been said that you can determine the root cause of your illness by examining mucus color. While the common cold will typically cause mucus to be light yellow or clear, green nasal discharge could signify anything from allergies to a sinus infection. It is also important to note that seasonal allergies don’t just crop up in the spring and fall months as the seasons change. Contrary to popular belief, allergies are common in the summer, and can even last year-round for some sufferers. When you’re feeling under the weather, all you want is to feel better. Keeping track of your symptoms and how long they last, is the first step toward figuring out whether you’re dealing with allergies or a cold. Drinking plenty of fluids, getting extra rest, and taking over-the-counter medications to ease symptoms are key to recovering from a virus like the common cold. If allergies are the culprit, over-the-counter drugs can help, but you may need to consult a physician for a more long-term solution. Always listen to your body, and seek medical attention if symptoms become overwhelming.